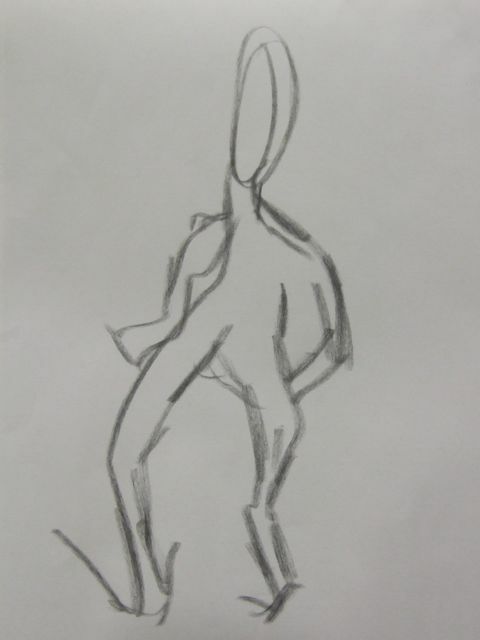 Gesture is used to understand movement and the forces at play in an object (or situation). These works are all by students in the AAS GD program at Parsons. 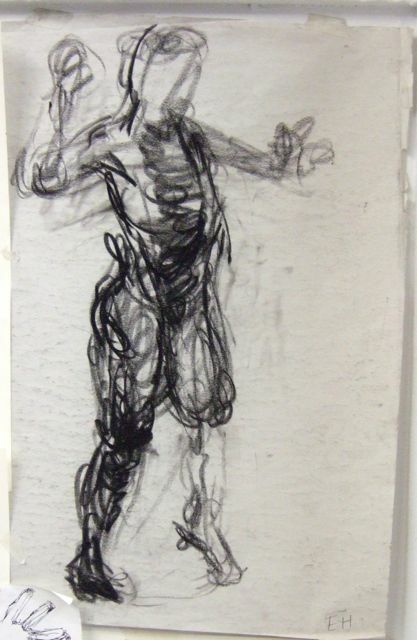 The one above is a five minute gesture by Tyler Rubin. These two are from student Lauren Devalt. The one on the left was done before any instruction the one on the right was done two hours later. This seems to point to the fact that much of drawing “skill” is in how we think, more than whether we are “talented” or not. 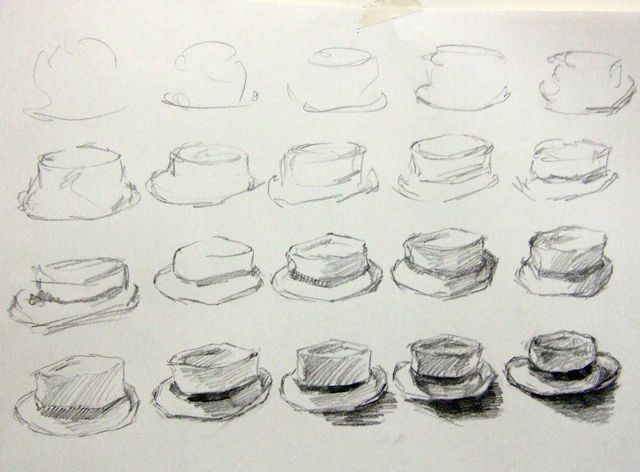 In this assignment a student is asked to make twenty drawings of an object slowly increasing the speed from a second up to a few minutes per drawing. 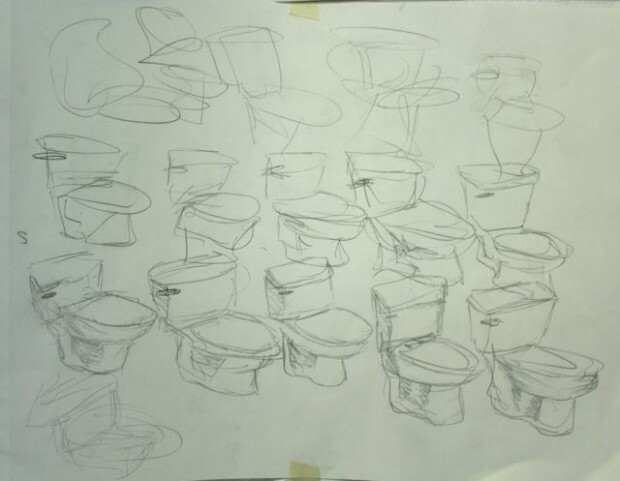 The first few give us a sense of the most fundamental information about the object while the later drawings show us the symbolic image our mind creates. 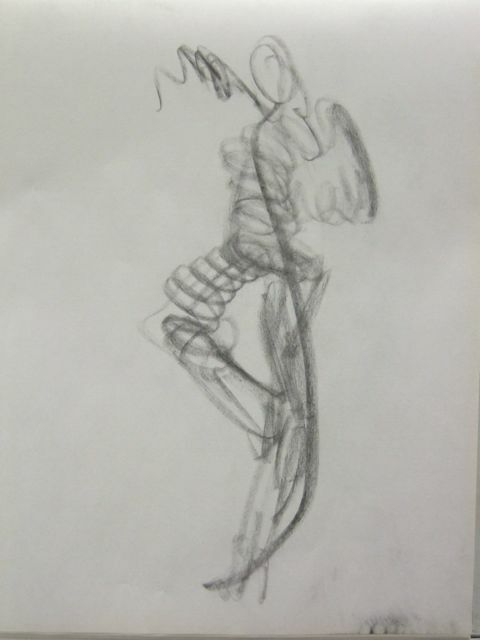 In between the drawings frequently cross over those two worlds and show a range of emotional or content driven drawings. 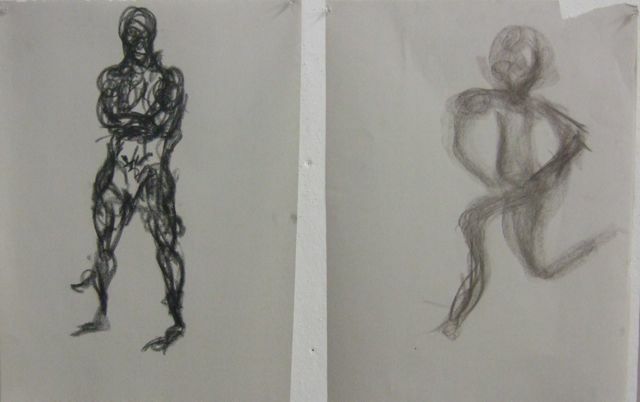 This piece from Ana Leshen shows the two states of gestures, after instruction on the left and before on the right. Ana had much strength and laughed often within her growth process. I think the humor she found is rare in a “serious” academic setting, but has the ability to open up the creative process like no other tool! Thanks to my students for all the work and sharing! These are amazing works ! Great article, it’s very informative and very passionately written. 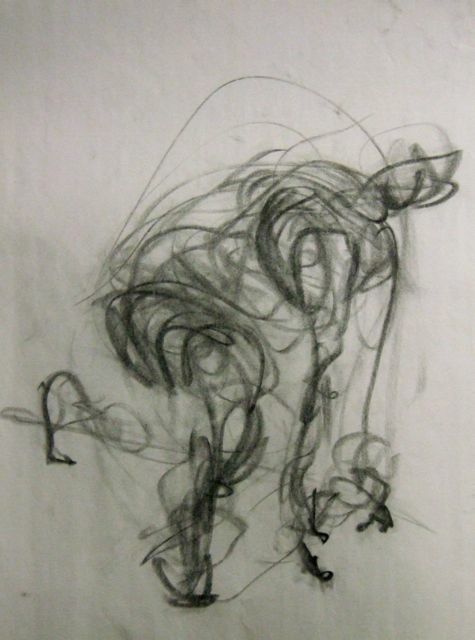 These are great; gesture drawings are particularly powerful and evocative ways of articulating movement and emotion–lovely!